High pressure backpack sprayer with capacity 18 lt and weight 9 kgr. 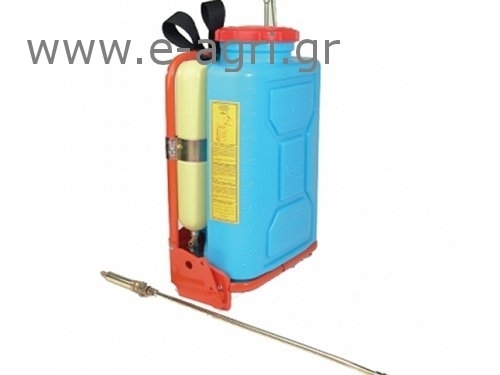 Has a plastic body, brass pump and metal base. Operating pressure of 0-15 bar. There are also parts for high pressure sprayers.